Edmonton hosts Game 2 of the 2016 CIBC Canada Russia Series on Tuesday, Nov. 8 at 8 p.m. (Mountain) on Sportsnet. 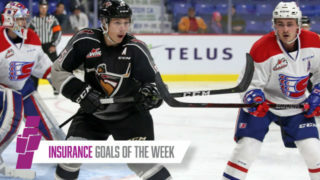 The contest will provide a homecoming of sorts for a handful of WHL stars. When the 2016 CIBC Canada Russia Series shifts to Edmonton’s shiny new palace known as Rogers Place Tuesday night, there will be plenty of reason to cheer for fans in the City of Champions. A total of five Edmonton-area players will suit up for Team WHL when Game 2 gets underway Tuesday night, including goaltender Carter Hart, who is expected to get the start in net after partner Connor Ingram backstopped his team in a 3-2 overtime loss Monday in Prince George. “I’m definitely excited to go and play in front of family and friends and go experience Rogers Place,” said Hart, the Everett Silvertips netminder, Monday afternoon prior to opening festivities in Prince George. “I’ve heard it’s quite the arena. I’m very excited to go play there and to play in front of family and friends is a chance I don’t get very often. I’m very grateful for this opportunity. 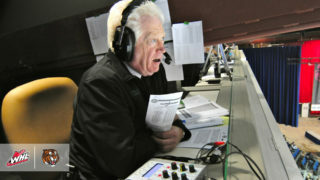 Living life south of the border in Everett, Wash., Hart’s travels with the Silvertips doesn’t bring him to Alberta very often – in fact, it’s a trip the ‘Tips only make once every two years. With a record of 9-2-1-0 this season, the defending CHL Goaltender of the Year is off to a fantastic start. His accompanying 1.89 goals-against average leads the WHL, while his .926 save percentage ranks third. His nine wins sit fourth amongst WHL goaltenders and have helped the Silvertips charge to the top of the U.S. Division at 13-2-2-0. Growing up, Hart played much of his minor hockey in nearby Fort Saskatchewan before moving to Sherwood Park in his early teens. Coming back to play in Edmonton has the 6-foot-2, 180-pound puckstopper reminiscing on those days gone by, right down to the always unique smells that bring so much character to small, minor hockey rinks around Western Canada. “That’s what I miss the most about my minor hockey days – going to the rink and sharing laughs with my buddies,” said Hart, a second round pick (48th) of the NHL’s Philadelphia Flyers. 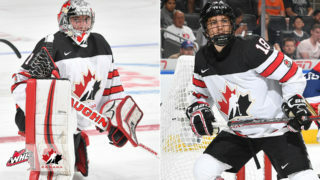 In addition to Hart, Giorgio Estephan (Edmonton), Tyler Benson (Edmonton), Sam Steel (Sherwood Park) and Brendan Guhle (Sherwood Park) will all play an international home game Tuesday night, intent on impressing Hockey Canada staff in hopes of making a case to be on Canada’s roster for the 2017 IIHF World Junior Championship. Benson’s opportunity is equally intriguing. 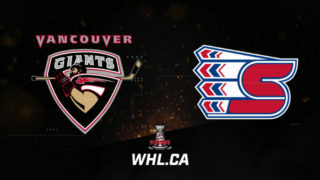 Having grown up in Oil Country, the 6-foot, 190-pounnd captain of the Vancouver Giants was drafted by his hometown Oilers in the second round (32nd) of the 2016 NHL Entry Draft. 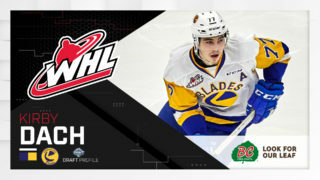 Now, he returns to Northern Alberta as an alternate captain for Team WHL with a chance to earn a place on Team Canada for the 2017 IIHF World Junior Championship. “It’s going to be fun,” Benson said prior to Game 1 on Monday in Prince George. “We have a good team here. It’s fun to be able to play in Edmonton and in front of the team I was drafted by. I’ll have lots of family there and lots of people watching, so it’s going to be fun. Like Hart, Benson played out his minor hockey days in the Alberta capital, so Tuesday’s return brings back plenty of memories. The Giants’ captain played for Confederation Hockey before moving to the well-known Southside Athletic Club where he destroyed the Alberta Bantam AAA Hockey League with 146 points (57G-89A) in 33 games during the 2012-13 season. In 14 games with the Giants this season, Benson has 17 points (8G-9A) to his credit. On the blueline, Guhle – a second round pick (51st) of the Buffalo Sabres – will do what he can to lock things down and help out his netminder Hart. 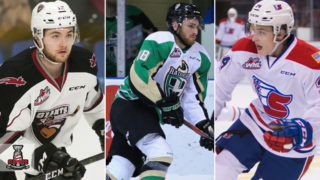 While some players will marvel at the sight of the castle known as Rogers Place, Guhle has already made a trip there with his Prince Albert Raiders, though it didn’t exactly go to plan as they dropped a 3-1 decision to the Oil Kings on Oct. 21. If one thing is for certain, it’s that Guhle doesn’t want a repeat of that decision Tuesday night. Digging deeper into the memory cache, Guhle has fond memories of his childhood growing up in Edmonton. Guhle and Team WHL will look to create new memories Tuesday night as they round out the WHL leg of the 2016 CIBC Canada Russia Series at Rogers Place in Edmonton. Edmonton plays host to Game 2 of the 2016 CIBC Canada Russia Series on Tuesday at 8 p.m. (Mountain) on Rogers Sportsnet. For more information on the CIBC Canada Russia Series, visit chlcanadarussia.ca.